The Monday meme has come around very fast this week! We are returning to a new school year here in New Zealand and suddenly the time allotted to reading has dwindled. However every little counts and as my goal is generally one children's book a week I am meeting my quota. 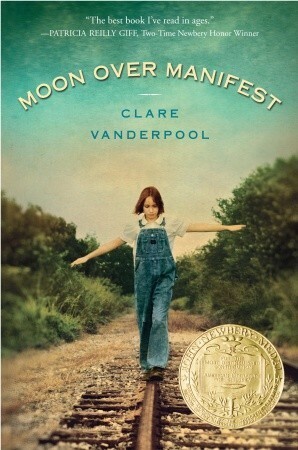 I read Moon Over Manifest by Clare Vanderpool. This is the 2011 Newbery Award book. I read this as an e-book borrowed from the library. I won't be buying it for my class, while I enjoyed it I found it just didn't call to me to pick it up every spare moment. I liked the main character Abilene, her story was interesting. I found a few unexpected surprises at the end and some expected. As an adult I liked the book, however I cannot muster up the energy to 'sell it' to my class. I also started to listen to Divergent by Veronica Roth. This is a new genre for me, and a little challenge to be divergent in my reading! This will take me awhile and will update when read! I also read another 15% of the The Story of Mankind. Plans for the week coming. 15% more of The Story of Mankind. The Higher Power of Lucky by Susan Patron. Bud not Buddy by Christopher Paul Curtis. As I do every summer over the holidays I think about the coming year and what I want to aim towards. As I found last year, as well as setting those goals, I need to be open to what just suddenly inspires me and follow that track as well, it can take me down surprising paths. However for now I am thinking just about from February to April - our first term. Term two will be a sabbatical term, and who knows where I will want to track after that. I find that writing and publishing my goals helps, it makes me more accountable. I have said it, and now I want to live it out. At this time of the year this picture shows how my brain feels, getting something written helps to put some shape on things, and the picture more complete! 1. Read children's books, during school term at least one a week - leading to at least 52 in the year. 2. Encourage some of my students to join Goodreads where they can discuss books among themselves and keep track of their reading. 3. Teach students how to write once a week a reading response in the form of a letter that will provide ongoing discussion between them and me about what they are noticing in their reading. (see" Guiding Readers and Writers", Fountas and Pinnell.) My goal is to respond to each, one from each student each week. This will be rotated - 5 students per night. 4. Sharpen up my skills with conferring with reading conferences first and then writing conferences. At present I am reading "Conferring: The Keystone of Reader's Workshop" by Patrick Allen. I have used his form to make my conference form. 5. 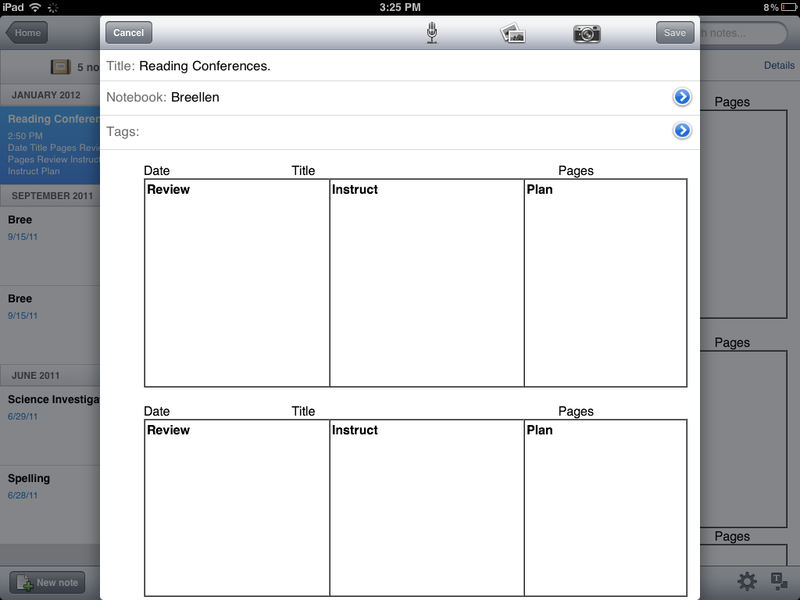 Use Evernote for recording notes from reading conferences. I am not sure at this stage whether I will revert to paper and pen, which for me is a lot faster, however I like the organisation that will result with Evernote. I have already drawn up a page for it. I was very pleased as once I had a master done I was easily able to put a copy in each student's notebook. 6. Give my more able Maths students more control over their own learning. So I am going to trial using a Maths Daily Five type schedule with them but modified to suit us. Hopefully they will be able to work at what they set as their goals and I will conference them individually once a week, and meet with them in smaller groups as needed. 1) Maths problem solving and writing an explanation of how they solved it. 2) Maths with a partner - I will have some options for them, I think our Figure it Out series will be a good beginning. 3) Maths work by self - I will have a variety of text books that they can choose to use to practise whatever they believe they need within Number and Algebra for Term One. 4) Maths using technology - I will have some digital pathways from Digistore set up for them as a start. NZ Maths have it all well set out. I will set up a wiki where the students can easily access these learning objects. This slot could also involve making Showme type videos as tutorials for others. 5) Maths game with one or two others. I have another group of students who will need a lot of hands on from me, and that is where I hope to spend the majority of my time. 7. Track and meet the commitments made for global connections. I have already made myself a page where I can see easily what projects we are involved in, who is running them, what we need to do when and a link to the web site. Now I am not holding it all in my head. I need to visit the plan at least twice a week to keep on track. 8. Improve the quality of commenting on blogs in my classroom. See my previous post. 9. Settle into a new classroom space. Adapt it as we need, explore the possibilities of it. Just moving to it has been a big job. Still not settled in there yet. However I am organising it more thoroughly than I ever have before. Organisation of things etc is not my strength - it doesn't come naturally. What are your goals at the moment? Do you set goals or are you more of a let's see what happens person? Personally I think there is merit in both ways. Last week I started to join in with this Monday meme and as I visited some of the blogs I was just amazed at the reading that is happening among teachers and librarians. It is inspiring, and while I know I will never be as passionate readers as they are - I certainly have no problem using my spare time to read. Hop on over and join in at the Mentor Text Bog. watched the movie thinking that would possibly be a quick way to 'read' the first book. However while I enjoyed the movie, I chose to read the book, and enjoyed it, especially the humour. 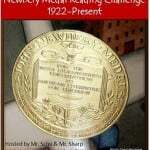 My next book was the 1968 Newbery Medal book, From the Mixed Up Files of Mrs. Basil E. Frankweiler by E.L. Konisburg. I found a rather pristine copy in our school library. I'm hoping to make that look a little more hand used by the end of the year. I was immediately drawn into the story and enjoyed the word by-play between Claudia and Jamie. I identified early on with Claudia - page 10, "Claudia knew that it had to do with injustice. She was the oldest child and only girl and the only girl was subject to a lot of injustice. Perhaps it was because she had to both empty the dishwasher and set the table on the same night while her brothers got out of everything." I wasn't the only girl, but I was the oldest, so I was sympathetic! I loved Jamie too, inspite of being a 'tightwad' he was very endearing and he was an excellent foil to Claudia his sister. Good Masters! Sweet Ladies! Voices from a Medieval Village by Laura Amy Schlitz was my next book. This book was the 2008 Newbery Medal book. I was a little dubious as I picked it up, I wasn't sure if I would like it. It is a mixture of prose and poetry and can be performed for an audience. In fact that was the purpose of the author. I soon became involved and enjoyed meeting the various characters. The stories are told with humour and compassion. It is set in medieval times and I can only say I am thankful I didn't live then. I would see this book as a very useful resource if you were studying medieval times. Finally yesterday the graphic novel Babymouse Queen of the World arrived and I had my first introduction to her. I thoroughly enjoyed it and chuckled away. At first glimpse it seems easy reading, however I think the ideas the book explores will easily be relevant to my 10 -12 year olds. I have a couple more coming in my National library collection - yes New Zealand teachers the library has some copies. I look forward to introducing this to the girls in my class. Anyone had experience of boys reading them? What's on my reading list for the next week? The Story of Mankind - this will be a slow read, just a small diet each day! The aim is to read it eventually as part of the Newbery challenge. Moon Over Manifest by Clare Vanderpool - also part of the challenge and just have it for the week as an ebook from the library. The Higher Power of Lucky. 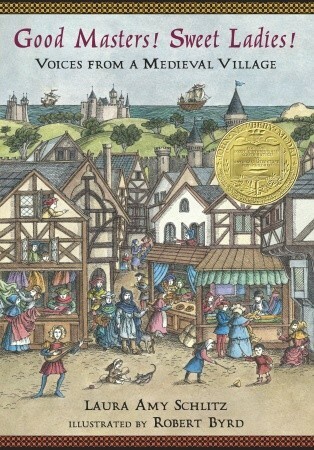 Susan Patron - also Newbery medal. If there is time I then intend to read Bud Not Buddy by Christopher Paul Curtis. However this one might also be next week, as the count down to going back to school on the 31st January looms closer. And of course those staff meetings that come before that. 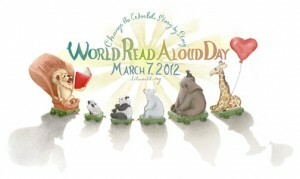 World Read Aloud Day takes place on the 7th of March - a Wednesday. If you want to know more, click on the picture below and read about it on the LitWorld's website. My class and I will take part, unfortunately Wednesday is a day when they go to a Secondary school in the morning for such things as cooking, metal work etc. So we will really only have the afternoon, and we will make the most of that. I will need to discuss with them what exactly we will do. The thought of dedicating such a day has got me thinking about reading aloud. I believe it's really important and I have always read aloud daily to my class. While I never read aloud as a child to my younger siblings one of my sisters did and she entertained them with many a bed-time story. When I went to primary (elementary) school in the '50's we had radio broadcasts. One such broadcast was a book that would be read aloud. Only excerpts, that would make you want to go out and find the book. I loved listening. I still listen to books on my ipod! I have been teaching for around 37 years, so I guess that's a lot of books read aloud to my class over time. I don't remember most of them, although there are a few that stand out. Once when I was teaching 10 year olds, a girl brought to me a book called Momo by Michael Ende and asked me to read it to the class. I did that, we were all totally in love with Momo and I remember to this day the sense of togetherness we shared and I remember the student who suggested the book. She would now be nearing forty years of age! Another time while teaching 8-9 year olds I read them The Magic Faraway Tree by Enid Blyton, one I had never read myself but one that my sister read to our siblings and they had all been enchanted by it. Remembering that I picked out the book from the library - lots of pictures- and settled down to share it. Not long into the book I had the children all inching closer and two of the 'tough' boys hanging over my shoulder ready to turn the pages. I know Enid Blyton is a frowned upon author, with good reason, however when I was growing up she was my main diet as there was very little else available to me in my small New Zealand town. 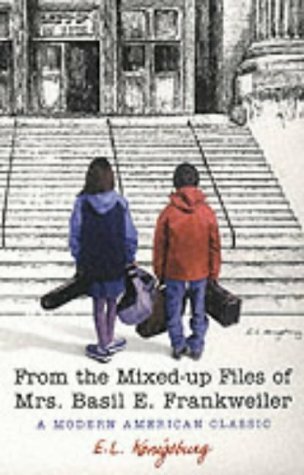 Last year I read aloud Because of Mr Terupt by Rob Buyea and again there was that anticipation each day as we began to read and groans and pleadings to continue when I put it down. I believe there has been mixed reviews to this book, however we are on the "we loved it" team. I think it may be one of those books that really works best when read aloud. We skyped the author and he read aloud to us the first page of the sequel. We will be among the first to buy it, and I am sure he was rewarded by the spontaneous laughter that erupted from the class as he read. About ten years ago I had a class of 11-12 year olds who just didn't like reading, nothing chosen suited. I heard about this wonderful new book out - Harry Potter - so I hurried to buy it and began reading it aloud. About a quarter way through the book I had to abandon it. It did not take! I was so disappointed and for many years was mystified as to why such a popular book did not work. A few years back I read somewhere, someone writing that in their opinion Harry Potter was not a read aloud book. Who knows? It didn't work for me that year. I could count on one hand the books that I have abandoned over the years so I guess that is remarkable. When school starts back on the 31st of January in New Zealand, I am ready to go. I can't wait to begin sharing with my class "Okay for Now" by Gary D Schmidt. I know my class and I know they will love this book as much as I do. How about you? What book really worked reading aloud to your class? Do you have one that you remember that just did not catch fire? I have always been a reader, but not of children's literature. Since exiting childhood I left that genre of books behind. In fact as a child I was often mystified by my best friend's mother enjoying reading children's books. 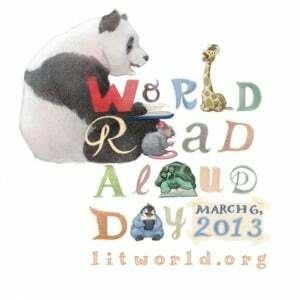 I have of course over the years of teaching read aloud many books to my class and have been touched by most of them. There is nothing better than to share a book with a class where everyone is totally engaged. Last year I was introduced to The Book Whisperer by Donalyn Miller through twitter. It was then than I decided I could read at least one children's book a week, and set out to do so. I am pleased to say since about September last year I have honoured that commitment to myself. I began to read some of the books my students were reading, and I was able to share some suggestions of ones I had read as well. A whole new world began to open up for me and I became 'converted'. During our summer break I have begun to follow the #nerdybookclub on twitter, and that has introduced me to wonderful possibilities in the world of book reading. These people are really dedicated readers and have a wealth of knowledge between them, I sit as a novice at their feet and soak in as much as I can. I have chosen to take part in the Newbery Challenge - see the link on the side bar. I am going to take it slowly, and I have decided that rather than begin with the first book, I will begin with the later books and work backwards. Not in order though, as I await books from the library I will take whatever comes first. 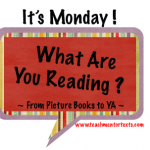 So each week I hope to take part in the What are You Reading Monday over at the blog Mentor Texts. Last week I read Flying Solo by Ralph Fletcher. This is about a class of students and how they act and interact when their substitute teacher does not show up for the day. They decide to run the class themselves and do so rather ably until there is a crisis. As it turns out they handle this well, and change happens. I think readers in my class will enjoy this one. Okay for Now by Gary D. Schmidt was definitely my favourite of the week. I read this as an e-book on my Kobo ereader, borrowed from our town library. That was a first for me too, as it is only very recently that our library has had this facility available. This is the story of a middle grade boy who belongs to a poor family and has moved to a new area and school. Doug Swieter will remain with me as a favourite character of all time. I loved him and the book so much I have purchased it and intend it to be my first read aloud of the year to the class when we go back in two weeks. One small detail that entertained me was that the class at one time are set a project to do on New Zealand! I loved this video which I watched after reading the book of Gary Schmidt talking about this book. He explains it far better than I could. A Nest for Celeste by Henry Cole. 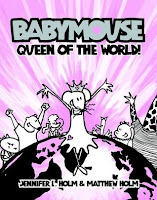 This is the story of a mouse and her search for a home and her friendships and challenges along the way. I had borrowed it from our local library via my Smartcard, again a new experience for me. Some of our local libraries have teamed up and books can be reserved and send to the library of your choice for no cost. Needless to say I have since bought the book. There are students in my class who will love this book. Again here follows a short video that will show you some of the art work in this wonderful book. The last book that I read this week was a first as well. My first graphic novel. Sure I have read plenty of comics in my time but no comic novel. Although that reminds me I have a Diana Gabaldon graphic novel sitting on my shelf that I must read. 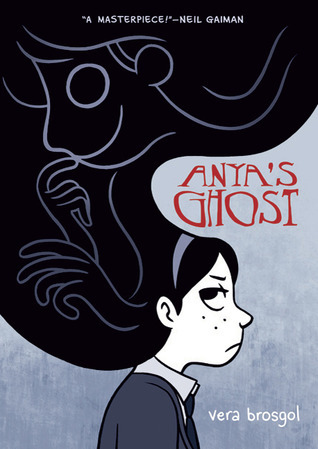 The book I did read was Anya's Ghost by Vera Brosgol. Anya is a Russian American and struggles with who she is and how she is perceived. Falling down a hole she meets up with a ghost from over ninety years back who also fell down the hole. They escape the hole and over time form a bond, until things turn somewhat black and dark. Finding her way through this darkness Anna also finds herself. The art work is wonderful and the whole novel is well done. I am not sure if I should release it into my classroom, I think perhaps Year 8 girls would benefit from it with discussion. I have decided to ask our local town children's librarian to read it and give me her opinion. She knows my class well as we visit there once a fortnight. So that was my reading last week. This week I have books on order for the Newbery challenge, but my experience is now that they take about a week to arrive. 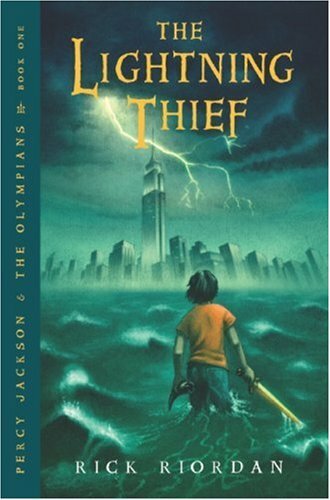 In the meantime I will read Percy Jackson and the Lightening Thief by Rick Riordan. The boys in my class have been fans of these books and I have heard them discussing them often. I have read the first two in the second series but now feel compelled to go back and explore the first series. I have been invited to participate in the Quality Posting and Commenting Meme, begun at the Langwitches blog. Thank you Tracy for passing on the challenge, it has challenged me to stop and reflect on the commenting that my students engage in. Commenting is an important part of blogging. At its best it carries the conversation on, adds ideas, enables others to think further about the topic, to agree or not agree with the writer of the post. It also allows the person commenting to give support and encouragement to the writer. Every writer likes feedback! As teachers we would like our students to engage in writing quality comments. There are teachers out there that certainly model this and set high expectations. Two such teachers are Linda Yollis and Kathleen Morris. Although they are two that come to my mind readily, there are other teachers endeavouring to do the same with great success. For example, just read the wonderful posts linked in my first paragraph. These teachers challenge me by their professional approach and expectation of high standards from students. They awaken in me the need to reflect on my own journey teaching commenting to students. As a class we have talked about commenting and together we have set guidelines. However as I reflect, I have not followed that up enough to ensure that quality commenting is taking place. We haven't examined quality comments enough, nor examined our own comments and worked on developing them further. Therefore it is very timely to examine the kinds of comments that are happening in my classroom and to plan for some intervention when we return to school in February 2012. The two comments I examine below are really the pre-assessment. What is happening with commenting in my class? Let me examine that and see where I need to go. At the end of the term I am going to commit to another teacher post on this blog in April to reflect again on where my class is with the making of quality comments. "It is better to make one quality comment than many poor comments"
Ø Be positive and respectful. Ø Give details about what you agree with or like in the post. Ø Write a comment that might make the reader of your comment think further, or connect to in some way. Ø Share your feelings, opinions, ideas and questions in relation to the topic of the post. Ø Make sure you write everything so that the person reading the comment will understand what you want to communicate. Ø Use correct spelling, punctuation and grammar. Ø Begin your comment with a greeting and end with a signature. Ø Use formal language – think about your word choice, sentence fluency and paragraphing. Ø Double check your comment before posting – reread it. Ø Finally ask yourself how will the person feel when they receive your comment? Ø Remember to check back so that you can respond if the person you left the comment to furthers the conversation. Ø Copy your comment into your word document, My Commenting, so that later in the term you can reflect on your commenting. Tip: Clicking on each comment image will enlarge it for easier reading. I would now like to nominate two more teachers to take a turn at sharing in a meme how they see quality commenting. Stephanie on Twitter@traintheteacher. Stephanie I know you may not want to do this post straight away, but in your time.